Wouldn’t it be great if the more vacations you took, the longer you lived? Having just returned from a family trip I’d like to think that this week away added years to my life. In a landmark study, researchers found that the more holidays you take, the longer you live. In this article, I discuss four reasons why vacations make you live longer. In this study, researchers recruited 12,338 people who were at high risk for a heart attack. Over the next nine years, they found something exciting. If you want to live a long life, you need to take a lot of vacations. Interestingly, the reason why these people lived longer was that vacations somehow protected them from heart problems. Indeed, those taking the most vacations lived 17% longer and were 29% less likely to have serious heart troubles. To explain the life-extending benefits of vacations, these researchers came up with four possibilities. Really? Perhaps this is because I have four strong-willed children. In my experience, time away can be more stressful. Everything from sleep deprivation to the various delays can make travel hard. Perhaps the magic lies in the fact that it is a different kind of stress. In my case, rather than the pressure of the operating room or being on call for hospital emergencies, it is now the stress of moving a large family from point A to point B and making sure my two-year-old doesn’t get lost or injured in the process. When it comes to stress and the heart, I have learned that you can’t ever eliminate stress. The only people without any stress have all passed away. Whether or not stress causes you an arrhythmia or an early cardiac death all comes down to how you perceive your stressors. Perhaps this helps to explain why any vacation related stress might be a good thing. Spending more time with friends and family may be one of the healthiest things we can do for our heart. Indeed, studies show that your social life may be a better predictor of longevity than either smoking or obesity. Sometimes it takes a vacation to wake us up to what is most important in this life. Most people live their lives going from one chair to the next. We sit for breakfast, sit in our cars, sit at work, sit in our cars again, and then sit to watch TV at night. Sometimes we need an enjoyable vacation to shake things up and get us a bit more active. In my case, vacations offer the chance of a long workout. And, as you know, long workouts can be challenging to come by during a typical workday. Physical activity from time away could be yet another reason why vacations make you live longer. If nothing else, getting away means you aren’t usually working. And if taking a vacation makes it so that you avoid overtime then it may be good for your heart. For example, many studies have shown that putting in more hours than the typical workweek significantly increases your risk of atrial fibrillation. As a recovering workaholic, vacations help me remember the importance of creating memories that my children will remember for the rest of their lives. Everyone’s idea of the perfect vacation is different. Rather than just settle for one big annual family getaway, we try to spread out many budget-friendly mini-vacations over the course of a year. Our goal is to try and do something, even if it is just a one-night getaway, on at least a monthly basis. Staying a couple of nights with old friends or family members can be another budget-friendly vacation. Our kids love packing their sleeping bags and hanging out with their cousins. Even business-related travel can be a great excuse to take all or part of your family along with you. My goal has always been to take my wife, or at least one child, with me whenever possible. When it comes to financing trips, our philosophy is simple. Other than the price of gas, an occasional budget hotel/Airbnb, or the food we would eat anyway, we never pay for travel. We love cashing in on free flights from reward miles, high adventure activities within a few hundred miles, or just staying with family. What if You Can’t Vacation Regularly? Even if you can’t get away regularly, studies show that just having a vacation to look forward to can give you the same health benefits. Thus, if you want the cardiac protection and longevity boost that comes from vacations, make sure you always have something on your calendar. Even if it isn’t for a year or more, just looking forward to it will make your heart healthier. In my review of all the vacation studies, I have yet to find a study that says vacations are bad for you. I also have never met a dying patient in the hospital who said they wished they had taken fewer vacations. If you think you can’t afford more vacations, I challenge you to think creatively. “Staycations” can be wonderful. Likewise, budget travel can be the most enjoyable form of travel. Even better, I have met many people who make money while traveling. By simply putting their homes on Airbnb while away, they can collect US dollars while spending Mexican pesos. If getting away is truly challenging for you, then the best “longevity hack” is to have a vacation to look forward to. Heck, scheduling something 18 to 24 months out can be a tremendous boost to your heart health. How has travel helped you to optimize your life experience? Please leave your thoughts and questions below. For questions, please be patient as it may take me a few weeks to respond. Despite the wait, I do read and respond to everything left below. 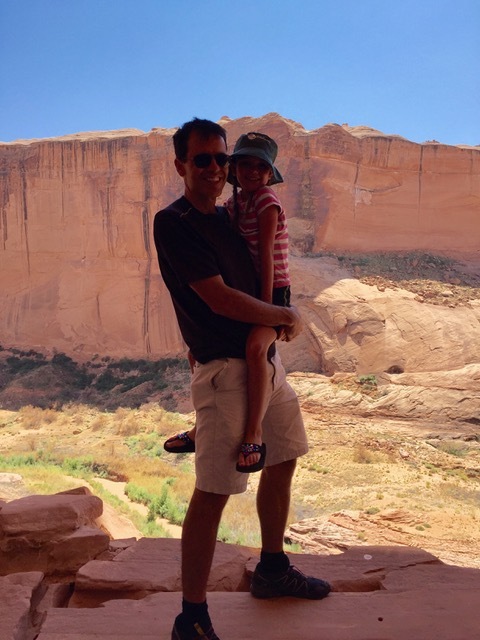 In case you were wondering about the photo for this article, it was taken at one of our favorite family destinations, Lake Powell. Great points. Correlation doesn’t prove causation. There are many variables involved in the longevity equation. However, I should point out that I have yet to see a study that says vacations are bad for your health. On the other hand, many studies have correlated vacations to better health even when controlling for income. Hi Dr! I recently read your book–it was excellent and included many ideas that I try to implement in my life. I have a general longevity/aging question. We are told over and over that there are many aspects of our bodies that deteriorate with aging: less BDNF, less stomach acid, osteoporosis, sarcopenia, etc. The list is very long. I am wondering if anyone has studied whether these reductions with age are also true in long-lived populations. Has anyone compared “Western” populations who eat the SAD diet and do not exercise much with long-lived populations? Are these losses truly inevitable as we age? Or is it mainly our lifestyle? Great question. The aging process is definitely slowed in these long-lived cultures. Likewise, slowing is also dramatically slowed even in those living in the US who have optimized all areas of their lifestyle. While no one has been able to stop the aging process yet, studies show that it can be slowed to a crawl. Thank you, Dr. Day. That’s just what I was hoping to see. Here’s wishing us both beaucoup de vacances!